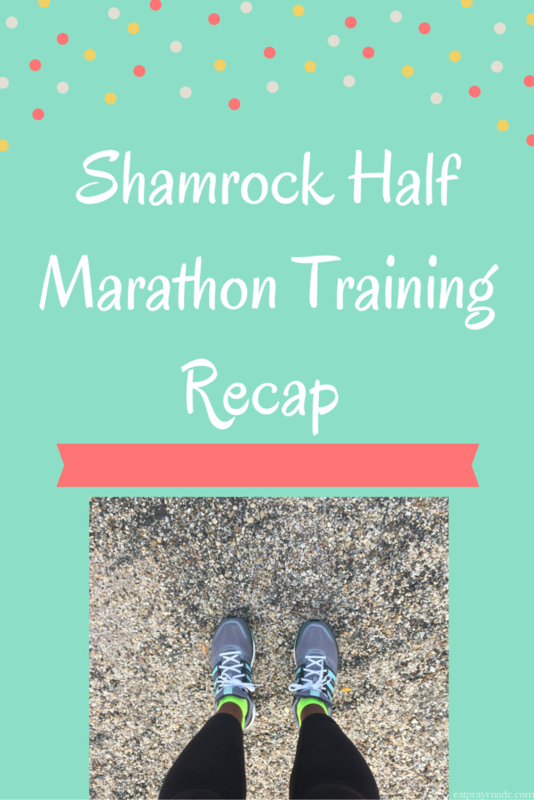 Welcome to week five of my Shamrock Half Marathon Training Recap. Each week, I’ll share how my training went and what the week looked like. I’m doing this because: 1) I love reading about how other folks train and 2) it’s great for me to have a record of what I did each week. Also, honestly, it helps keep me accountable when I know I’ll be writing about it. I also post almost all of my runs on Instagram as well. I wrote about my thoughts on my training plan after one month here, if you want to check that out. 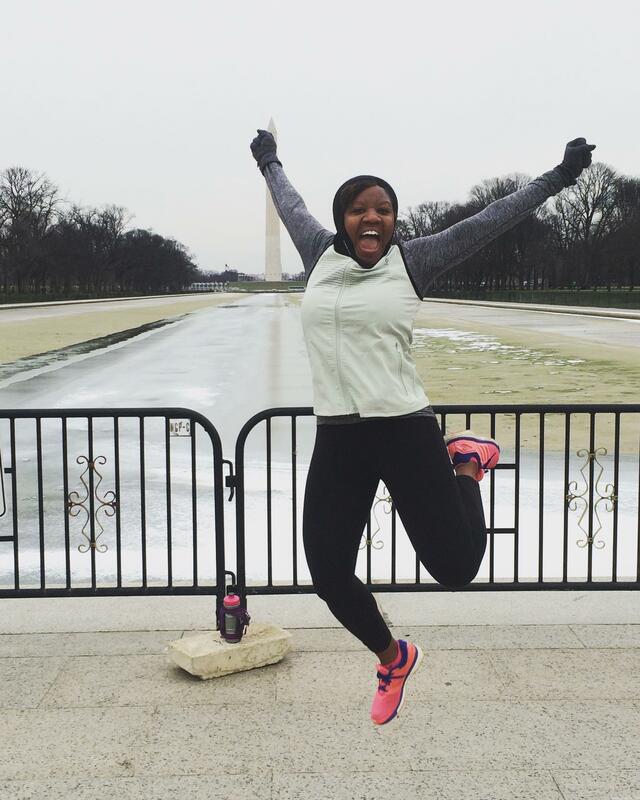 Monday: Monday was Martin Luther King, Jr. Day and so I ran a bit later than usual. It was bitterly cold and the wind did not help things. I ran 5.19 easy miles for the day. Tuesday: Track Day! It was another bitterly cold morning, so that meant that I did track work during lunchtime instead of in the dark morning hours. I had 5×1000 repeats on deck and my goal time for each 1000 was 5:12. Here are my splits: 5:03 / 5:03 / 5:07 / 5:05 / 4:59. It was another lonely track workout in the cold and wind but I was proud of myself for pushing deep and getting it done. Little did I know that my hardest workout all week was yet to come. With my warm up and cool down miles, I ran 6 today for the day. Wednesday: rest day, Pure Barre class. Friday: Ah. SO. The Blizzard of 2016 was quickly approaching and weather reports were that we were going to get up to two feet of snow (spoiler alert, there were right) so I decided to move my Saturday long run to Friday. I ran ten fun miles and the temperatures rapidly dropped and the snow started to fall during that last mile. 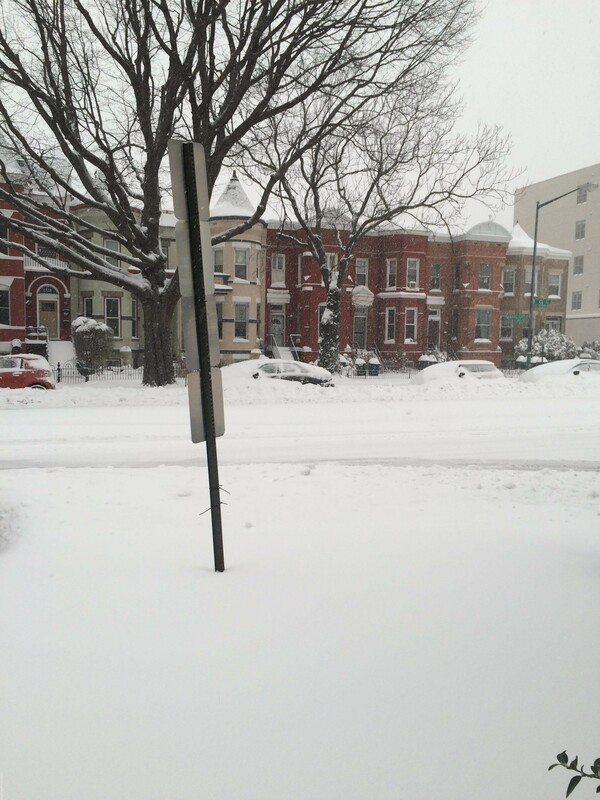 The snow didn’t stop falling until about 36 hours later…But ten miles, done! Saturday: There was NO running happening on Saturday. The forecast was correct and we were buried under just about two feet of snow. I did shovel three times, which if you’ve ever shoveled snow, you know is a great cardio workout! Sunday: The morning after. I desperately wanted to get a run in so went out for a little over three miles with Caitlin in my new Yaktrax. It was glorious. The sun was shining, the neighborhood was happy and we just had so much fun. Running will be really interesting this next week as the city continues to thaw out. I’m determined to keep my running schedule as much as I can this week and I am really proud that I only missed a few miles even during a blizzard. I actually was only short 5 miles and since running through snow is almost twice as much work, I’m really chalking it up to being right on point! How was your week? If you are on the East Coast, are you all dug out yet? Niceeee! Loved your pics from this morning. I had new kinds of sore post snow run. Snow definitely engaged different muscles! I don’t have easy access to a treadmill so it’s really not much of an option for me. I was able to get out there today, so I’m hopeful for the remainder of the week! Great week Courtney! You were braver than I was getting your runs done in the elements outside–all of my runs were done indoors. 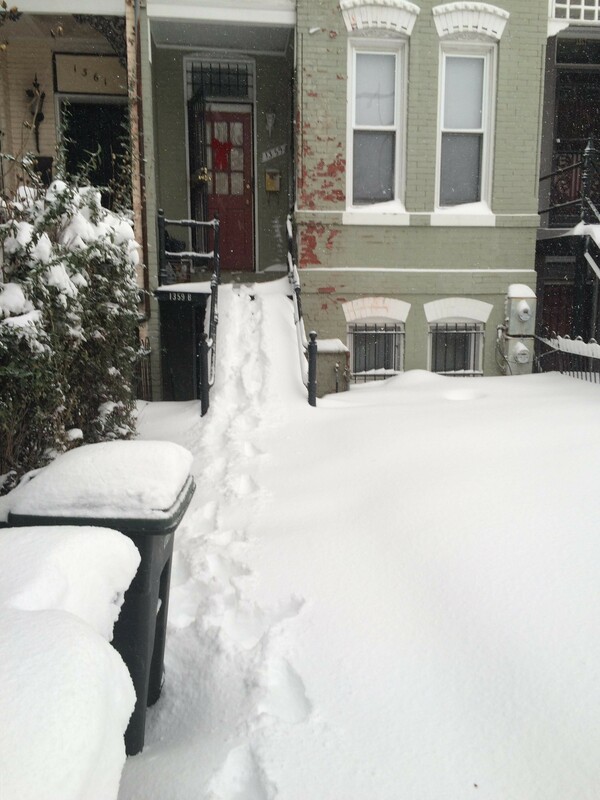 I should look into getting YakTrax–I don’t want to do another long run indoors this Saturday if I can avoid it! I was very glad that I moved my long run to Friday! 🙂 At least you got it in! I am so impressed you went for a run! I managed a few mile walk in the snow today, but am putting off digging out until tomorrow. Love hearing about your training. I am super impressed that you were able to get your runs in this week with this weather!! Way to go lady! The thing I love about conquering a tough workout is that it gives you something to draw on mentally when it gets tough on race day! Only a couple of months left til race day!!!! Yep – which means the [hard] part of my training is coming. Gulp! Track workouts scare me as well. But I have to say, they work! 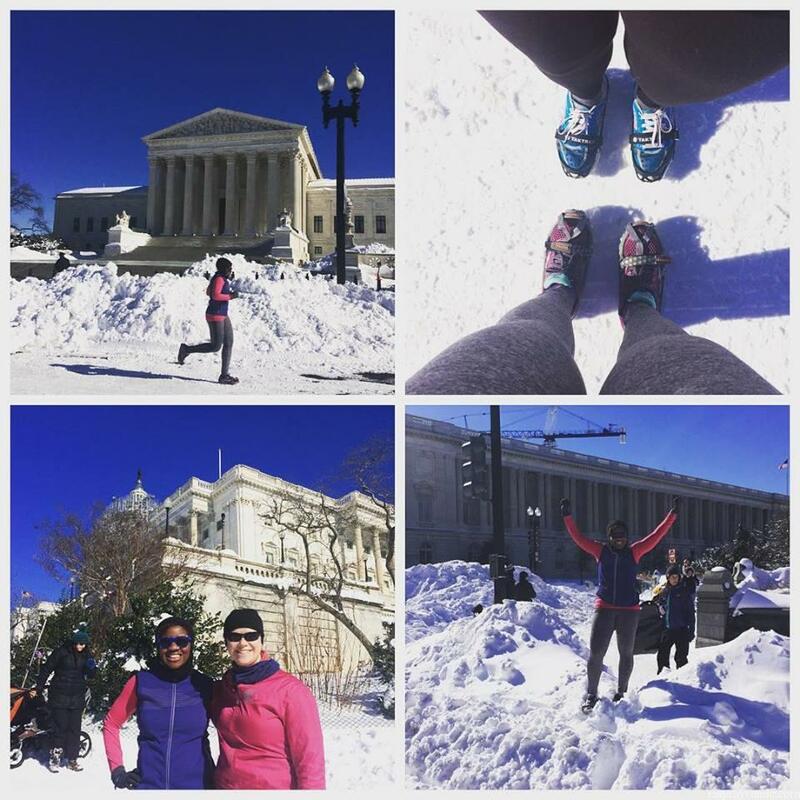 I love all your snow running pictures, but that picture of you in front of the Lincoln Monument is my favorite! Aw, thanks Wendy. It was a fun weekend for lots of pics! Lol. Shoveling is a great workout!! You are KILLING these track workouts, chica!! Also, just so you know, running on the track with snow over it is lots of fun and you don’t slip around like you do on the street (I’m not sure why, but that’s just the way it is! ); hopefully, you can make it there later this week. I can’t believe the snow. I just can’t. 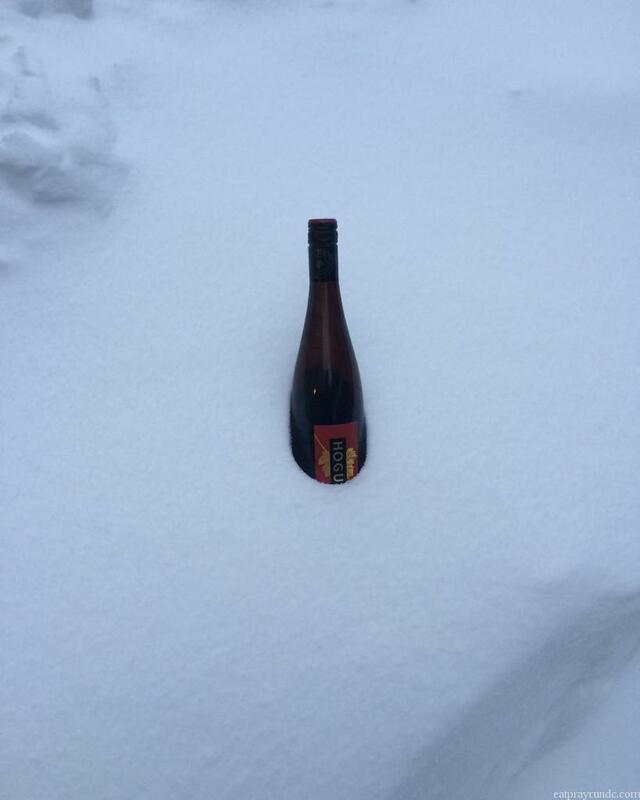 I’ve been wondering how everyone fared in the blizzard. Great job not letting the weather derail you. I can totally envision that track workout–really tough, really cold, all by yourself. It really does take a lot to push deep and get through a workout like that–as well as your tempo run–so congrats on another great week! Thanks, it was really touch and go there for awhile, Kylie! I ran ten on Friday too in anticipation of no running anywhere on Saturday…the thing that surprised me on that run were the lines of people gassing up their cars. Where on earth did these people around here think they were going to go this weekend? Great week of training for you! I got to put my yaktrax on for the first time today, it is beautiful out!! Awesome job on the track workout too, you nailed your paces. I’ve got to say, I just don’t get the point of 1000’s though. Why can’t it be a round number. If I see those on my plan I always bump them up to 1200’s, I just can’t take it, lol! I’ve learned so much about mileage conversation doing track, lol. Now I know that 1000m = .6 miles! Hahaha! I also don’t have a treadmill (and don’t really want a gym membership just for treadmill access), so I have to go outside for every run, too. It’s usually pretty fun after it gets going… plus we only got a few inches this week. By the way, great job on that track workout. Impressive splits! Thank you, the track is so hard but I always feel accomplished afterwards! Way to adjust your training to the weather and get it done anyway. I definitely think shoveling snow counts as cardio! And you still had great mileage despite having to take that unplanned day off. I’m glad Hansons is working out for you and hope you can have another great training week. Stay warm up there! You’re amazing to have run as many miles in the snow as you did. I’m a wimp when it comes to running in bad weather. I’d much rather just head to the comfort of the treadmill at the gym. Good job on all your workouts, blizzard and all! Our main streets were plowed to one lane but our community wasn’t until Monday so I opted inside, until today! I still dodged some snow piles but it was great to get outside. Snow running has added a whole different element to my runs over the past few days, lol!